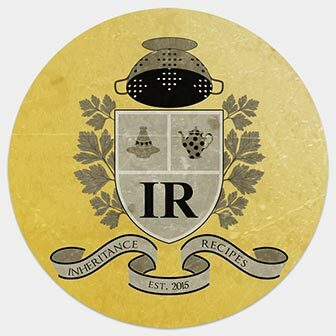 Thank you very much for all of the November Inheritance Recipes entries. We always enjoy reading stories behind the recipes and therefore we decided to create Inheritance Recipes group on Facebook to hear even more family anecdotes, connect with our readers all over the globe, spread the words about recipes but also to help people find their long lost childhood dishes. Every month you can submit any recipe (old or new) as long as it is inherited: through family member, friend or ancestral culture. There is also no geographical restrictions for the entries, recipes from all over the world are more than welcome, we love diversity! The Inheritance Recipes is co-hosted together with Solange of Pebble Soup and she will be collecting entries next. All entries can be seen below, in order of submissions. Follow the number links under the collage to check them out and don’t forget to subscribe to Inheritance Recipes Pinterest board (that has now 3,300 followers), Facebook Inheritance Recipes group and our Inheritance Recipes list on Twitter which we use to retweet recipes from IR participants (past or present) on daily basis. December Inheritance Recipes challenge is being hosted by Solange – do visit her blog to submit the links there. What a beautiful gallery of recipes!